She was the only woman in her medical class in 1855. Her medical practice, however, floundered because no one trusted a female doctor then. So she volunteered in the Union Army, but was not allowed to enlist because she was a woman, so served plainly as a civilian volunteer. As a civilian volunteer, she was not allowed to practice as a doctor, either, so she volunteered as a nurse. As a nurse she ministered to the wounded soldiers in the First Battle of Bull Run, and worked her way to become a field surgeon’s assistant. In 1863, she was given an Army commission, but still technically as a Civilian worker. In 1864, she was captured by the Confederate Army for a few months and charged as a spy, but continued to serve their medical needs just the same. She was released that August, after being held in Richmond, Virginia, for several months. Following her release, Walker briefly returned to Washington, D.C. In the fall of 1864, she received a contract as an "acting assistant surgeon" with the Ohio 52nd Infantry, and soon began supervising a hospital for women prisoners and then an orphanage. Mary Walker retired from government service in June 1865. Later that year she was given the Congressional Medal of Honor for her efforts at the First Battle of Bull Run – the only woman to have won the Medal. After the war, she waged another – women’s rights. She even ran for public office at the time when women were not allowed to vote. A real gutsy lady. In 1916, a high-ranking U.S. military board revoked Medals of Honor from nearly 1,000 recipients, a move that sent shockwaves across the country as former service members suddenly found themselves stripped of their hard-won awards. 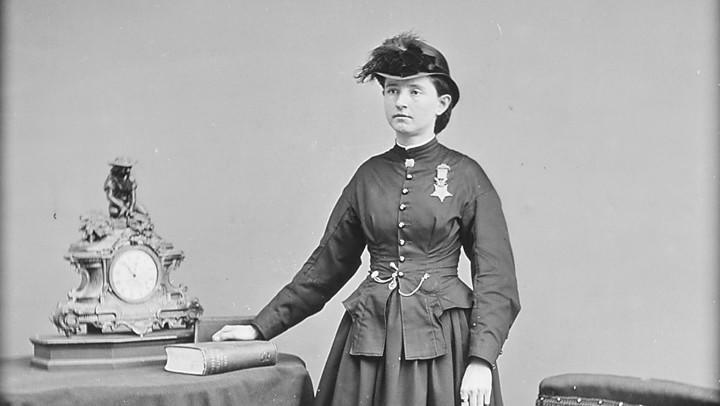 Mary Edwards Walker, a former Army surgeon who had braved some of the most harrowing years of the Civil War was among the many veterans ordered to return their honors. But the physician, who was partial to wearing the glinting Medal with a top hat and bow tie, refused to part with the prize. It was not the first time Mary Edwards Walker refused to play by the rules. "She wore the Medal every day of her life, from the moment she received it to the day she died," said Sharon Harris, author of "Dr. Mary Walker: An American Radical, 1832-1919" and a professor at the University of Connecticut. Walker — the first and only woman to receive the Medal of Honor — was a tough, tenacious iconoclast who stood firm before her foes, be they Confederate soldiers or Army bureaucrats, Harris said.